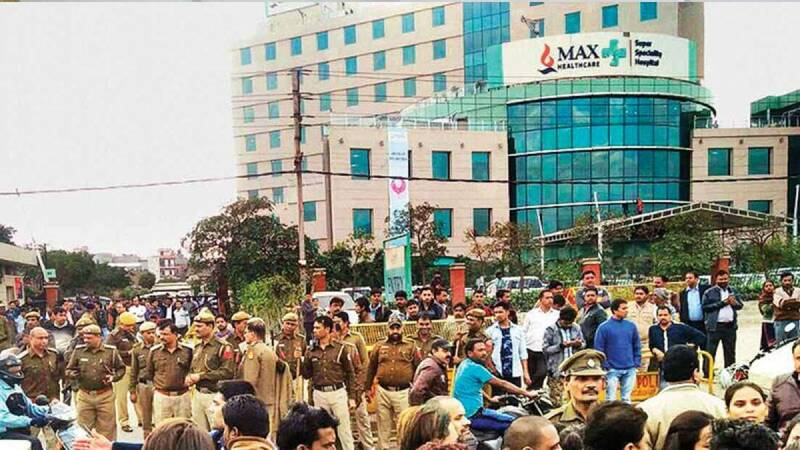 New Delhi : Employees of Max Hospital here, whose licence was cancelled by the Delhi government, burned effigies of Chief Minister Arvind Kejriwal and Health Minister Satyendar Jain outside the hospital on Saturday afternoon, police said. Around 25 employees, mainly lower rung staff, protested outside the hospital in Shalimar Bagh of west Delhi, Deputy Commissioner of Police Aslam Khan told IANS. Earlier in the day, patients who came for treatment also protested outside the hospital after the hospital denied them admission. On Friday, the hospital's licence was cancelled with immediate effect, after it erroneously declared a newborn dead last month.